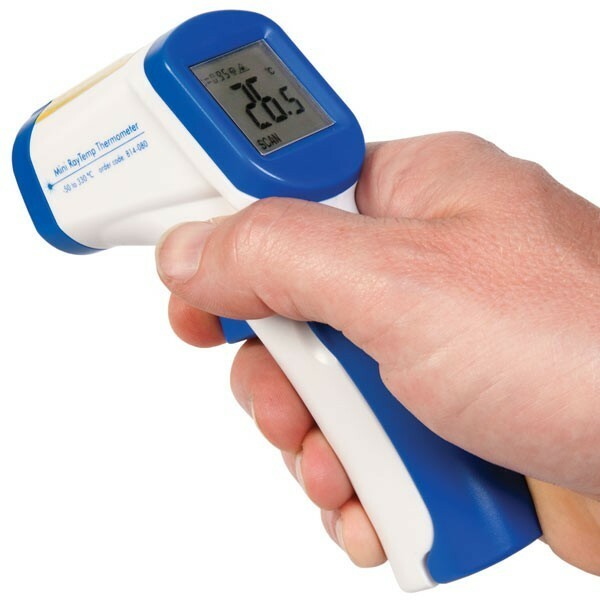 A compact, lightweight and low cost infrared thermometer. Simply aim and pull the trigger to display the temperature of the item being measured. 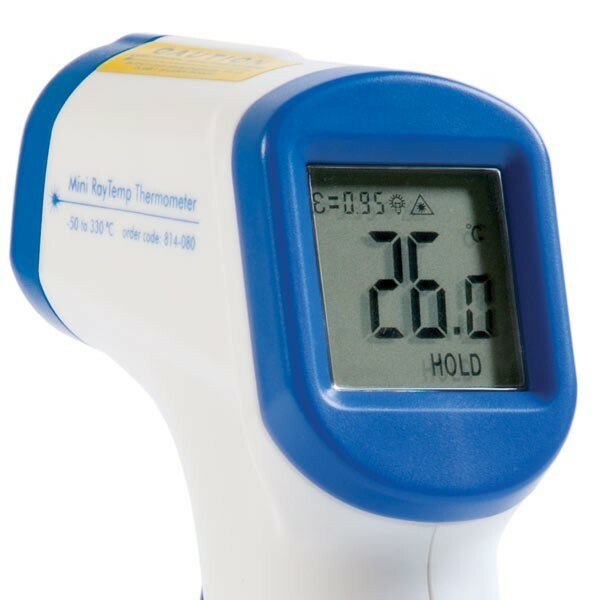 The Mini RayTemp infrared thermometer measures temperature over the range of -50 to 330°C with an assured accuracy of ±2°C over the range of 0 to 330°C, outside of this range (-50 to 0°C) accuracy is ±4°C. 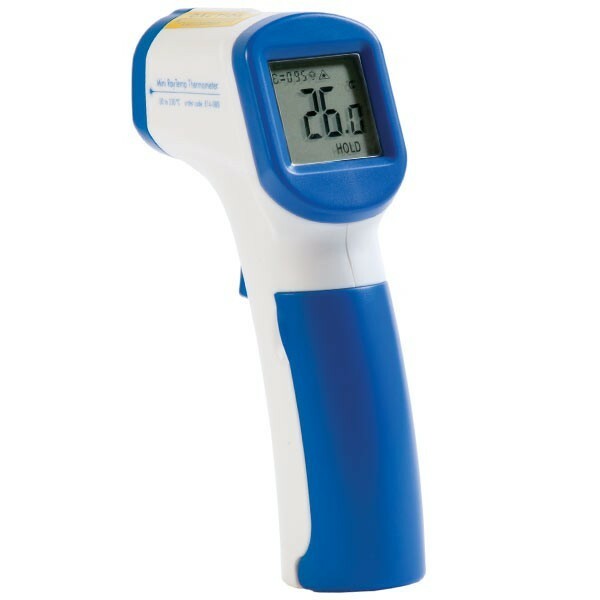 This infrared thermometer has a clear, easy to read, LCD display with low battery, and backlight indication and an auto power off facility that turns the instrument off after 10 seconds, maximising battery life. The Mini RayTemp is ideal for numerous temperature measurement applications where contact with the item to be measured is an issue. The Mini RayTemp is switchable to measure °C or °F. The thermometer also incorporates laser assisted alignment as standard, to assist in pin-pointing the area of measurement. The unit incorporates an 12:1 optic ratio (target distance/diameter ratio) and a fixed emissivity of 0.95. I am impressed with the accuracy and ease of use of this tool. As a simple point and read device it does what it says on the box. It's +/- 2 degrees C which is fine for most simple uses. really enjoyed this product. measured heat beautifully. have recommended to all my friends.